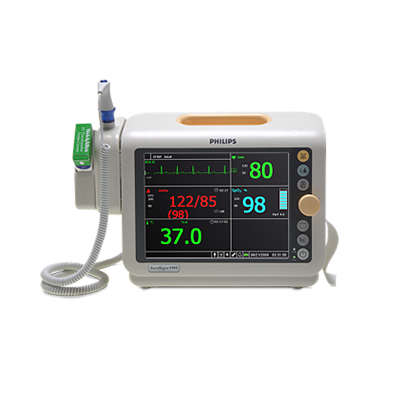 The Philips SureSign VM4 monitor is a full-color display screen enables you to view real-time patient vitals, and easy to access quick keys for frequently used tests. The lightweight, 6.9lbs, carrying handle, and 4-hour lithium battery allows for easy portability. To keep you up to date with Philips technology, Philips offers with the VM4 software updates via USB port and access to 24-hour telephone support service. Sé el primero en valorar “Philips SureSign VM4” Click here to cancel reply.